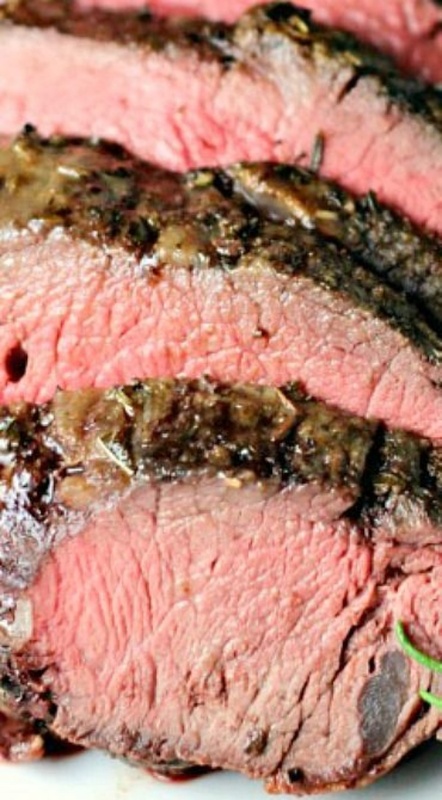 Garlic Herb Beef Tenderloin Roast with Creamy Horseradish Sauce By Renee Paj | Renee's Kitchen Adventures. An outstanding special occasion roast. This perfectly prepared, lean, tasty, melt-in-your mouth beef tenderloin will be the centerpiece of any holiday meal!